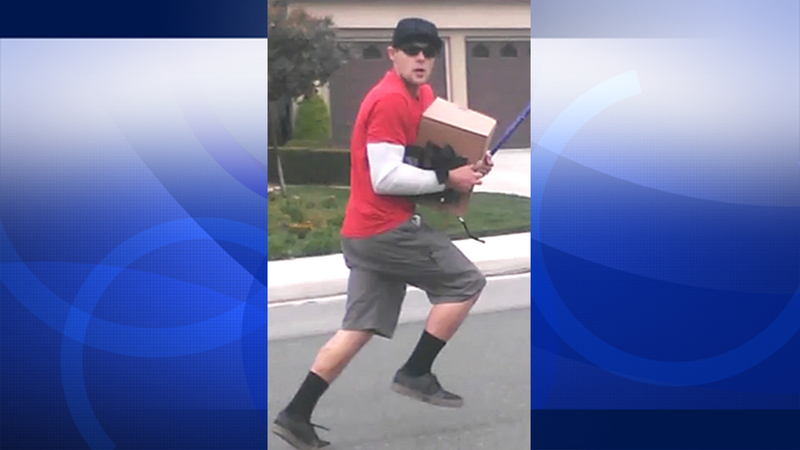 A man believed to have stolen a box from a car parked in Murrieta is shown on Wednesday, May 20, 2015. MURRIETA, Calif. -- A witness to a car burglary snapped a photo of a thief red-handed as he was trying to escape in Murrieta. Riverside County sheriff's deputies responded to a burglary at about 9:30 a.m. May 20 in the 38000 block of Cherry Point Lane. A man allegedly broke into the car and took a box from the front seat and ran north on Cherry Point Lane toward Central Park Street. He then jumped into a silver Toyota Corolla and fled the scene. Anyone with information is asked to call Temecula Police Department's Deputy Sosa at (951) 696-3000.